Mr. Chao is a Senior Advising Partner at ShoreVest. He is an investor, lawyer and counselor to entrepreneurs. He began his work life as a corporate lawyer with O’Melveny & Myers and for many years was the Chair of the firm’s Asia Practice. He helped establish the firm’s offices in Tokyo, Shanghai, Hong Kong and Beijing, and practiced for decades as a cross-border investment specialist based in Asia. 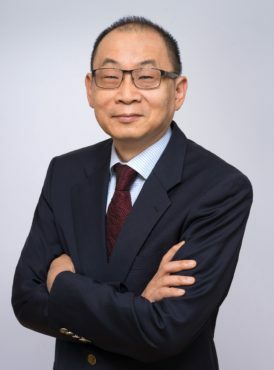 Mr. Chao represented Morgan Stanley in one of the first and largest international non-performing loan portfolio acquisitions in China, from China Huarong. In recent years Mr. Chao has moved to the principal side of investing and deal-making. He spends a significant amount of time on ShoreVest matters. He combines his many years of legal, deal and international experience to advise on a variety of matters. Mr. Chao has a bachelor’s degree in mathematics from Purdue University, and a JD from University of California in Berkeley. ©2016 ShoreVest Capital Partners, Ltd. All rights reserved.